1.7. o 20:45 we are going to hold a presentation in Tihanyi mansion in BB. 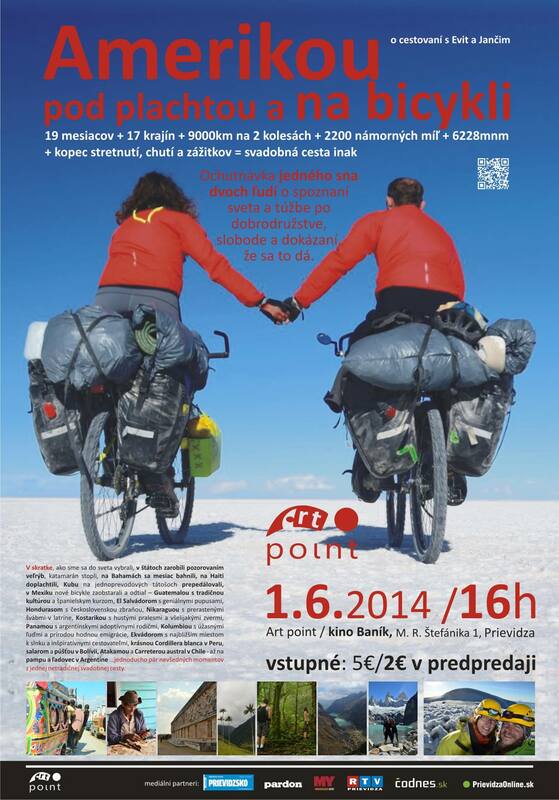 On Sunday 1.6.2014 we are going to have a presentation in the Movie Theater in Prievidza (Art Point). On Sunday 18.5.2014 at 16:30 we are going to have presentation about our traveling at the culture centre in Sielnica (Banska Bystrica). Everybody is welcomed! 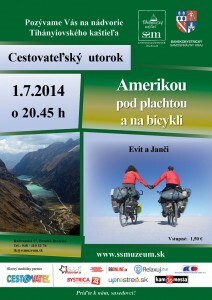 Another presentation is planned on 1.6. in Prievidza. Two months after our return we finally finished last articles. They are also tagged by categories for better overview (COS menu item). 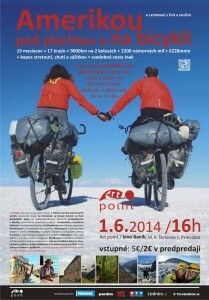 3rd of April 2014 we will hold a presentation on festival Hory a mesto. Two years ago we got there inspiration and decided to go on bicycles and now we would like to motivate others that it is possible. Again we would like to thank everybody who helped our trip: our families and friends for support, local people for their hospitality and other travelers for the talks, information and motivation! 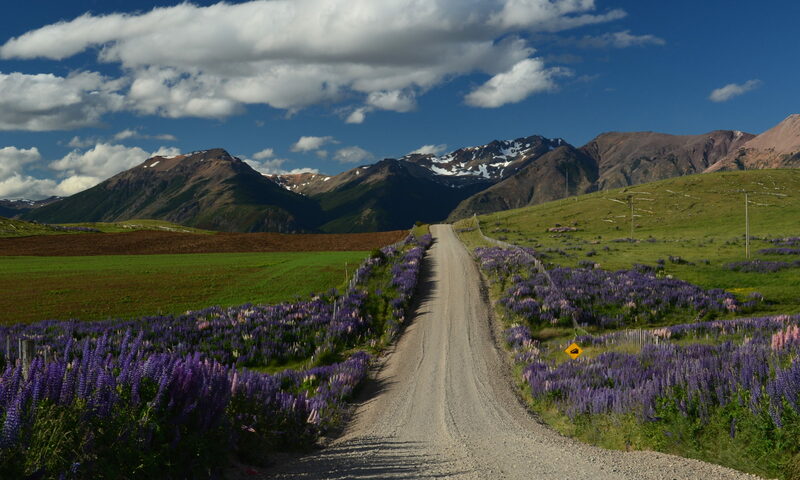 Tomorrow we are moving further – dessert, canyon, mountains … Huaraz and one of the best treks in the world – Santa Cruz. Tomorrow we’ll take bus to the boarder with Ecuador. Colombia is a great country with beautiful nature, tasty food and perfect people and we definitely would like to return here, but now we don’t have much time because we want to do it till Christmas to Argentina. We also finally updated the page with links. Anyway, 2 days ago (3rd of April) we bicycled from Panajachel to San Andres Itzapa, where the Maya Pedal organisation is located. It was a hard day full of going uphill, but in a beautiful nature. We are going to spend couple days here – learn something about the bicimachinas, climb the vulcano and see Antugua. And then fast to El Salvador and cross Honduras to Nicaragua. We added one article about Haiti and next ones will come in following days. Now we are in Cancun looking for bicycles with which we will continue further south….